The rising number of preferential trade agreements (PTAs) covers an ever-broader array of policy areas, going far beyond the traditional reduction of tariffs. For example, such trade agreements include provisions on investment, intellectual property, labour rights and environmental protection. While environmental aspects have only been tentatively included in WTO negotiations thus far, numerous bilateral and regional trade agreements have comprehensive “green” components. For example, many countries stipulate in their PTAs the obligation for parties not to lower environmental standards, and for parties to have the right to regulate further for the benefit of the environment. The commitment to implement multilateral environmental and climate agreements, and opportunities for interested groups and individuals to participate in environmental matters, and in transparency and enforcement mechanisms, are also increasingly frequent elements of PTAs, as are the inclusion of specific environmental rules, for example on the protection of fish stocks. Since the turn of the millennium, in particular, more and more preferential trade agreements have included a growing number of environmental provisions. Already, 85% of all trade agreements contain environmental provisions. As the figure below illustrates, each agreement includes, on average, around 60 different kinds of environmental provision. There are both promises and potential pitfalls involved in including environmental provisions in trade agreements. For instance, there is a risk that developing countries are unable to meet high environmental standards or that the environmental provisions are abused in order to keep cheaper products from developing countries out of the market (so-called “green protectionism”). At the same time, environmental provisions in trade agreements offer untapped potential. 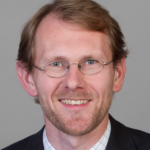 The rising number of bilateral and regional trade agreements entails progressively more environment-focused content, but it also generates debate about the implications of such agreements for environmental protection. 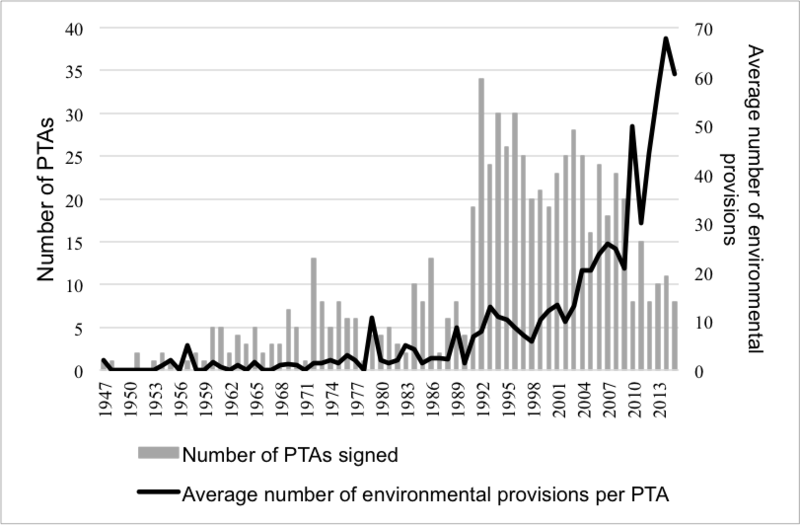 Burgeoning research on environmental provisions in PTAs offers important insights into this debate. 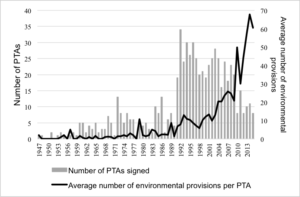 At the same time, the large majority of existing studies has either only examined a subset of PTAs or has not coded and investigated the broad variety of existing environmental provisions. The innovative and interactive online tool TREND analytics based on the Trade & Environment Database (TREND), which tracks almost 300 different environmental provisions in the texts of around 630 preferential trade agreements (PTAs), now offers a way to go further and undertake research to generate new fine-grained knowledge on the interplay between trade and the environment, providing fresh insights into the policy discussions at the interface of international trade and the environment. Hello, does the info in this article deal with trade agreements in general or specifically with unilateral preferential trade agreements as defined by the WTO? Thanks for your question! TREND analytics incorporates data of 630 preferential trade agreements (PTAs). Sometimes these agreements are also referred to as free trade agreements of regional trade agreements. These are agreements between two or a limited number of countries that aim at liberalising trade between the parties. Increasingly these agreements include non-trade issues such as environmental provisions. We document the nature, design and diffusion of these environmental provisions on TREND analytics.